The province of Huelva is the sixth in number of towns with a bullring in our country; only behind Madrid, Seville, Valencia, Córdoba and Cádiz. It can also boast of having the oldest bullring in Spain, Campofrío dating from 1716 (and eternal struggle for antiquity with the 'Ancianita' of Béjar, Salamanca). 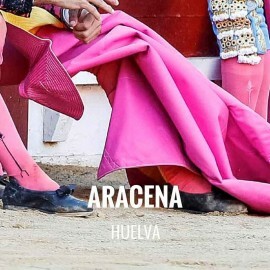 Huelva is also a land of bullfighters, such as the Litri's or the Chamaco's, and brave dehesa, where some of the most important irons of the Spanish fighting-bull race graze. 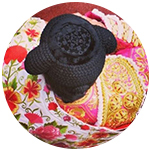 The 'Feria Grande' of Aracena is celebrated the third week of August. It takes place in its fairground, full of booths, attractions, bars, musical performances...and enlivened by the parades of its Municipal Band of music every morning. Of course there is no lack of bullfighting in its programming. 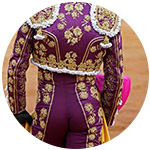 Towards the end of August a bullfight is celebrated on the occasion of the local Big Fair. There is also a charity festival held at the beginning of the season. How to get from Huelva to Aracena: Aracena is located 100 km from Huelva (1h 27 minutes by car). Driving Direction. 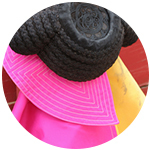 Address Aracena Bullring: C/ Julianita 1, 21200 - Aracena, Huelva. A mixed bullfight with bulls from Luis Albarrán for the horse-bullfighter Andy Cartagena and Torrehandilla bulls for the bullfighters El Cid and El Fandi, on a triumphant afternoon with the three of them on shoulders. 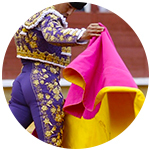 We regret to inform you that, currently, Servitoro does not have tickets for this show, but we recommend other bullfighting experiences a few kilometers from Aracena. If you need more information you can contact us by email clientes@servitoro.com or calling 0034 963308593 (Hours: Monday-Friday 9.00am - 8.00pm). Servitoro, bullfighting news of Aracena Bullring, Huelva.